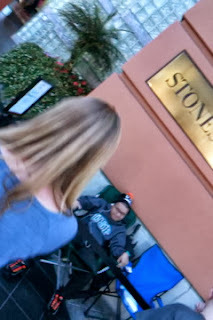 Here are some pictures from people waiting in line for the iPhone 5S at the Apple store at Stonestown Mall in San Francisco. 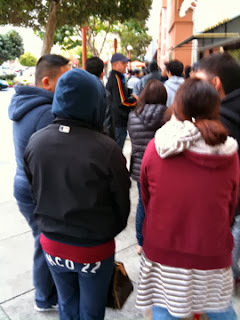 The first guy showed up in line around 2pm on Thursday afternoon. 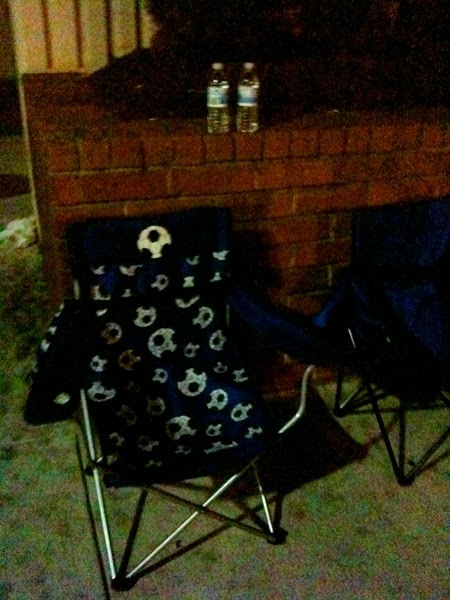 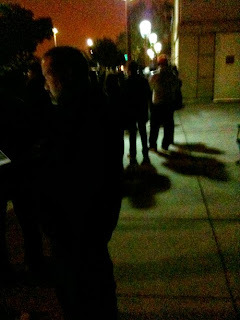 Here are pics of people waiting in line early in the am. 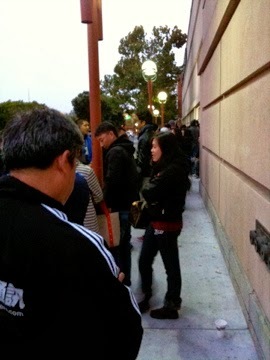 It's a good thing there was no rain and it wasn't too cold. Lots of people were prepared with their folding chairs and water. 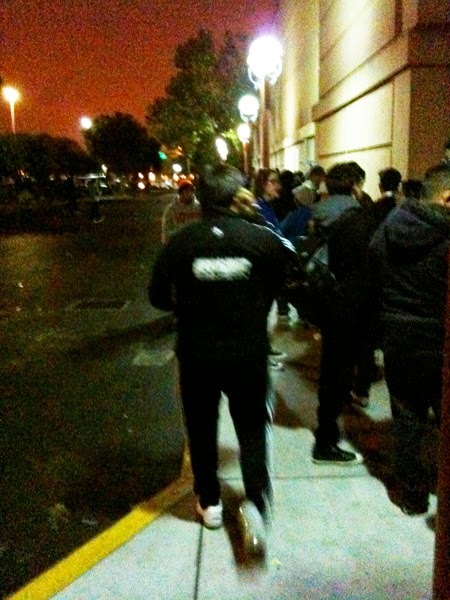 Look at the line for Verizon! 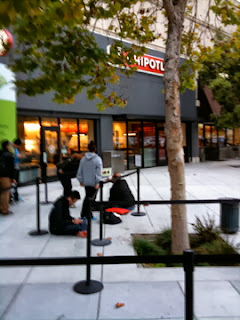 Only three people in line all morning! 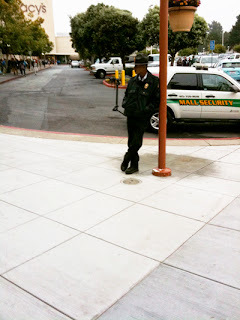 Security at the mall is in full force. 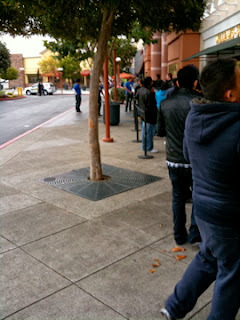 Apple store is now finally opened at 8am and the first few people in line are ready to buy their gold 5S iPhones! 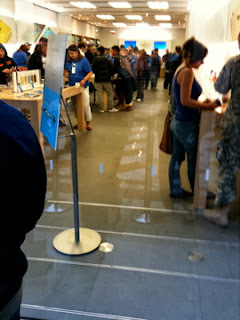 Some people in line were angry and pissed off that Apple only had limited gold colored 5S iPhones. 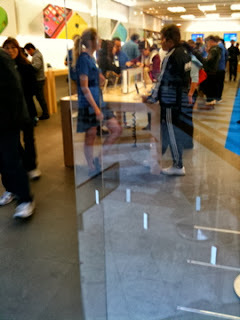 The Apple employee is having a standoff here with a disappointed customer. 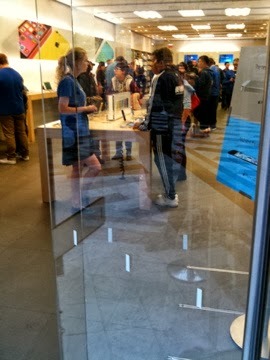 Here is a woman trying to sell iPhone cases to everyone in line as she owns a kiosk right next to the Apple store.